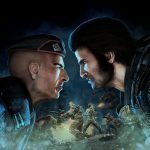 People Can Fly and Gearbox Publishing are pleased to announce Bulletstorm: Full Clip Edition as the critically-acclaimed shooter comes to PlayStation® 4, Xbox One, and PC on April 7, 2017 in stunning ultra-high resolutions! Updated with hi-res textures, increased polygon counts, sterling audio, smoother framerates, and running in up to 4K resolution on PC and PS4™ Pro, this upgraded version of the game comes with all of the previously-released DLC along with all-new content. Also for the first time ever, players who pre-order the game will get the chance to play as the iconic Duke Nukem in Bulletstorm: Full Clip Edition. 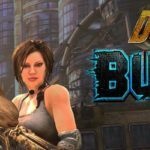 For the latest news on Bulletstorm: Full Clip Edition, follow us on Twitter (@Bulletstorm) and “Like” the Bulletstorm Facebook page !